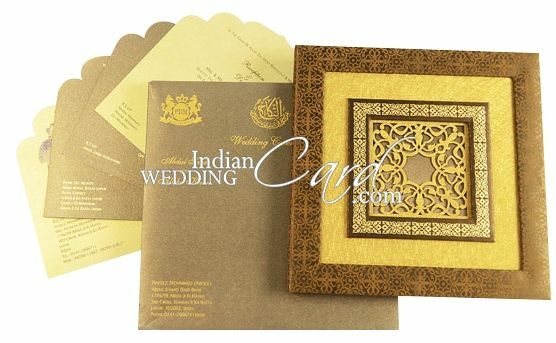 D-5564, Brown Color, Shimmery Finish Paper, Odd Shape Cards, Light Weight Cards, Laser Cut Cards, Designer Multifaith Invitations, Exclusive Invitations. Harbound box card. Front having laser cut work. Multicolor Inserts.